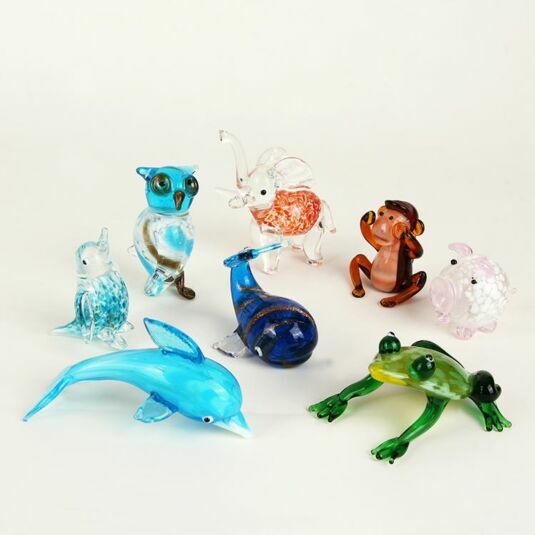 This beautiful little animal is made of coloured glass which catches the light and sparkles with life. 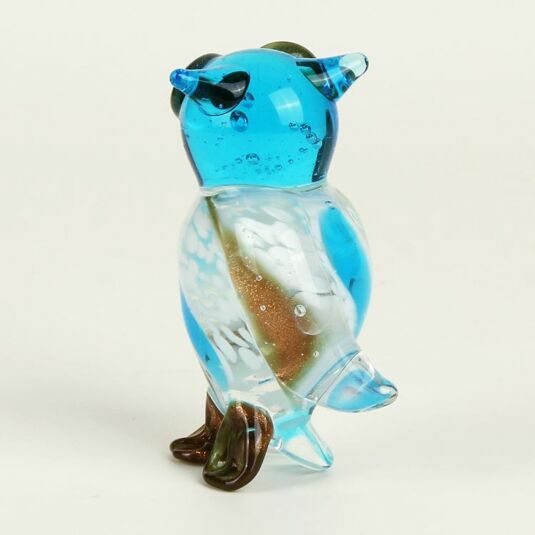 The owl sits with head swivelled over its shoulder, eyes gazing wisely into the distance. 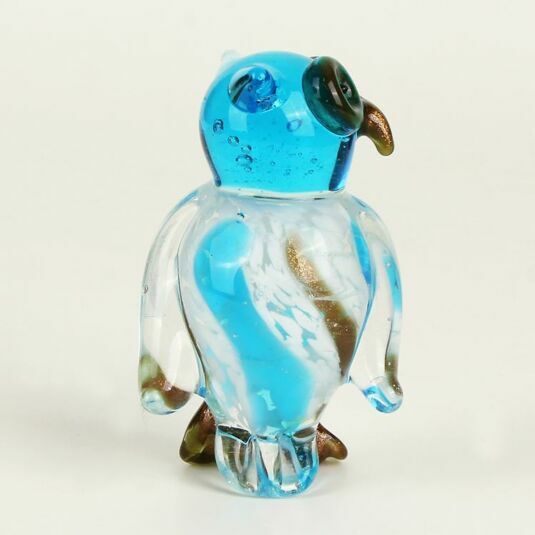 Its clear glass body is swirled through with iridescent blue, bronze and white. This owl is waiting patiently, wings folded by its sides, thinking deeply. 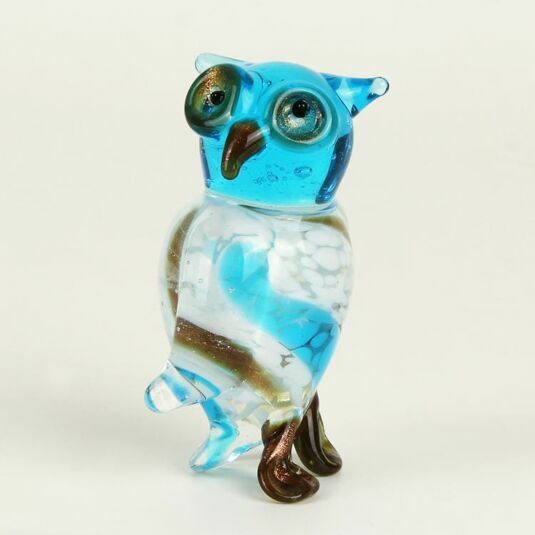 The magical owl can see in the dark, not only literally but also on a spiritual level, so is associated with intuition and the ability to see what others cannot. The owl is not fooled by deceit but has the wisdom to see behind the mask. Those who share the owl’s qualities are life’s deep thinkers, wise in spirit and not easily fooled.